The Court of Appeal, Lagos Division, today set aside the judgment of the Federal High Court, which had exempted the Nigerian Liquefied Natural Gas Limited (NLNG) from levies payable to the Nigerian Maritime Administration and Safety Agency (NIMASA) under the NIMASA Act, Cabotage Act, Marine Environment (Sea Protection Levy) Regulations, and other laws of the federation. The appeal court based its ruling on the fact that NIMASA, the country’s Maritime Regulatory Agency, was not given fair hearing at the lower court. Honourable Justice Mohammed Lawal Garba, who delivered the judgment, ordered the return of the case to the Federal High Court for fresh trial under a different judge. Today’s ruling restores the status quo, reaffirming NIMASA’s powers to continue to collect the levies. According to lead counsel of NIMASA, Mr. Lateef Fagbemi (SAN), the effect of today’s ruling is that the Federal High Court is ordered to revert to the fundamental issue of fair hearing while NLNG continues to pay the statutory levies, pending another ruling by the lower court on the matter. It would be recalled that the dispute between NLNG and NIMASA is based on the refusal by NLNG to pay 3% of the gross freight on all international outbound and inbound cargo carried by ships chartered by NLNG and its wholly-owned subsidiary company as contained in the NIMASA Act 2007. Also, the refusal by NLNG to pay the 2% surcharge on cabotage trade undertaken by its vessels within 200 nautical miles of the baselines and Nigerian coastal and inland waters as contained in the Coastal and Inland Shipping (Cabotage) Act 2003. The NLNG had also refused to comply with the Marine Environment (Sea Protection Levy) Regulations of 2012 and the Merchant Shipping (Ship Generated Marine Waste Reception Facilities) Regulations 2012. NIMASA had in 2010 commenced an action against NLNG, wherein it sought for an interpretation of relevant provisions of the Nigerian LNG (Fiscal Incentives, Guarantees and Assurances) Act, CAP N87, Laws of the Federation of Nigeria 1990, and the NIMASA Act of 2007. In January 2013, the action by NIMASA was withdrawn in a bid to amicably settle the dispute out of court. Following the continued disregard of the provisions of the NIMASA Act and other relevant laws by the NLNG, in May 2013, NIMASA sought to enforce the provisions of the NIMASA Act and Cabotage Act as empowered under the Act, by demanding payment of the respective 3% and 2% charges due from the NLNG, consequent upon which NLNG vessels were detained for non-compliance. 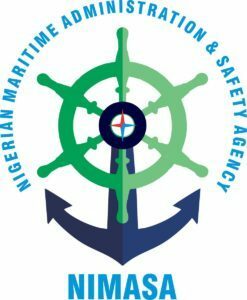 Upon intervention by the Federal Government, through the office of the National Security Adviser (NSA), an agreement in principle was adopted, with NLNG undertaking to pay up all outstanding levies and comply with the requirements of the NIMASA Act 2007, the Cabotage Act 2003 and other relevant Regulations at the time. NLNG made a payment of $20,000,000.00 (Twenty Million Dollars) and the blockade was lifted. In a surprising twist, the Agency received a pre-action Notice on the 18 June 2013 from Counsel to NLNG, giving thirty (30) days’ notice of their intention to commence legal action in accordance with Sections 53(2) of the NIMASA Act. This resulted in another blockade on 21 June 2013, during which time various issues were canvassed in Court by the parties. It was also agreed that NIMASA would lift the detention Orders placed on NLNG vessels and for as long as due payments are effected promptly, NLNG vessels will not be detained; NLNG will ensure that all outstanding FOB payments are made within four months from the date of the Agreement failing which NLNG will assume responsibility for the payments. The outstanding due payments were made by NLNG on the 6 July 2013 and the blockade was lifted on Saturday, 7 July 2013. Hearing of the substantive issues continued after which the Federal High Court sometime in 2016 entered judgment in favour of NLNG. The Agency, not satisfied with the judgment, engaged the services of Mr. Lateef Fagbemi (SAN) and Mr. Mike Igbokwe (SAN) to immediately file an appeal against the said judgment of the Federal High Court, which gave rise to today’s ruling.